So far we have looked at many NAS units in the lab, ranging from 2-8 bay units. 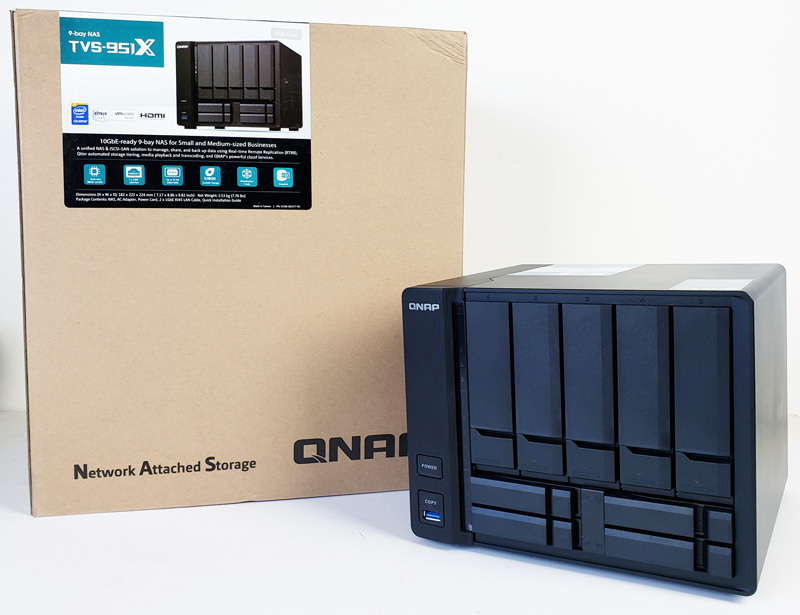 Today we have our first 9-bay NAS from QNAP, the TVS-951X. 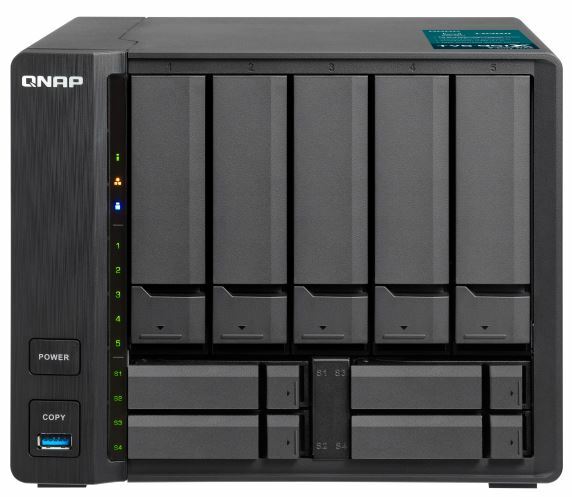 The QNAP TVS-951X is really a 5-Bay NAS used for HDD storage, then includes an additional 4-Bays used for fast storage, or SSD’s. This configuration opens up many different possibilities for storage options. 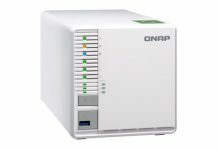 One can setup QNAP Qtier or go for fast SSD Cache Acceleration; each has its own unique advantages. The last option for these bays might be a fast SSD volume used for virtual machine storage. 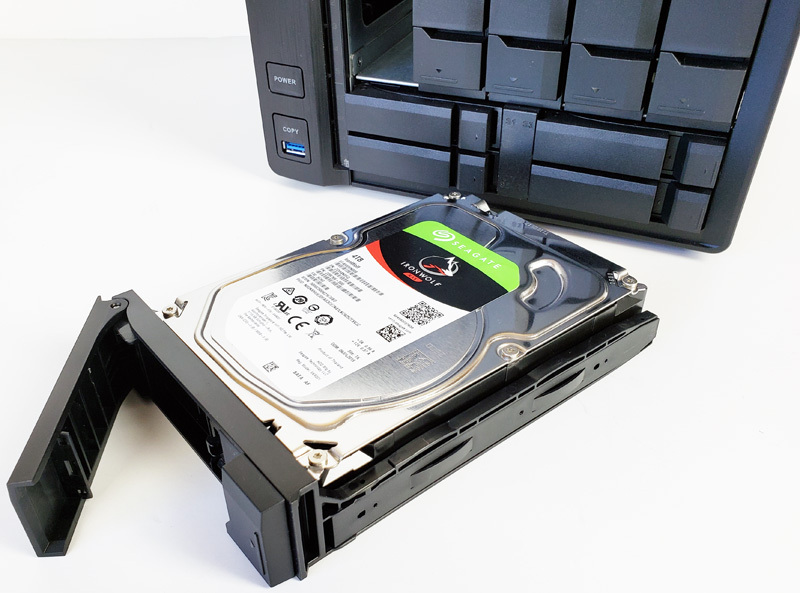 Considered to be a budget-friendly NAS for SMB’s and a powerful tool for creators, the QNAP TVS-951X has features that are not found on lower-end units. Along with the extra for bays for SSD’s the TVS-951X includes built-in 10GbE connectivity to boost network performance. Powering the QNAP TVS-951X processor is a 7th generation Intel Celeron Kaby Lake 3865U dual-core running at 1.8GHz. Memory on our NAS is 8GB of DDR4; this can be upgraded to 32GB. 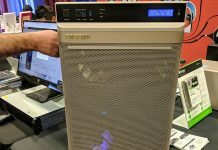 Compared to those lower-end NAS units running embedded CPUs and with 2GB of memory, this expands the roles that the unit can play on the edge. 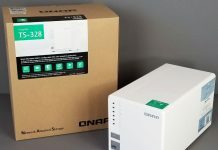 In our review, we are going to take a look at the QNAP TVS-951X and see how well it performs relative to other units we have tested. Taking a look at the front of the QNAP TVS-951X, we find the five 3.5” bays located at the top of the NAS, while the four 2.5” bays at the bottom. Along the left side, we see a power button and a USB One Touch Copy button and port at the lower left. A row of status LED’s display system activity and status indicators. 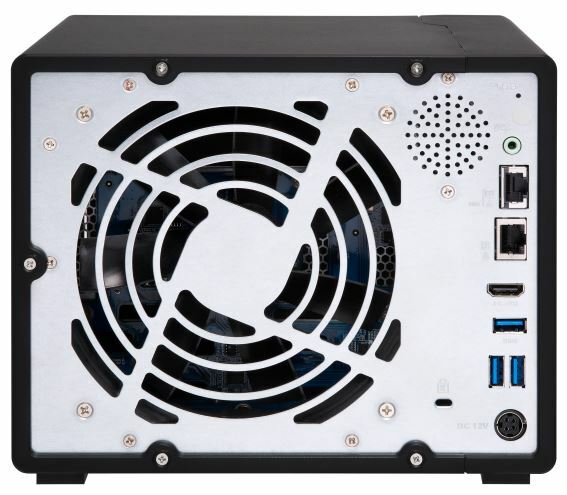 The back of the QNAP TVS-951X, we find large 120mm fans that provide the cooling for drives, 10Gbase-T RJ-45 at the top with a 1GbE RJ-45 port below, 3x USB 3.0 ports, and an HDMI port below the network ports. An audio port is next to a speaker at the top. 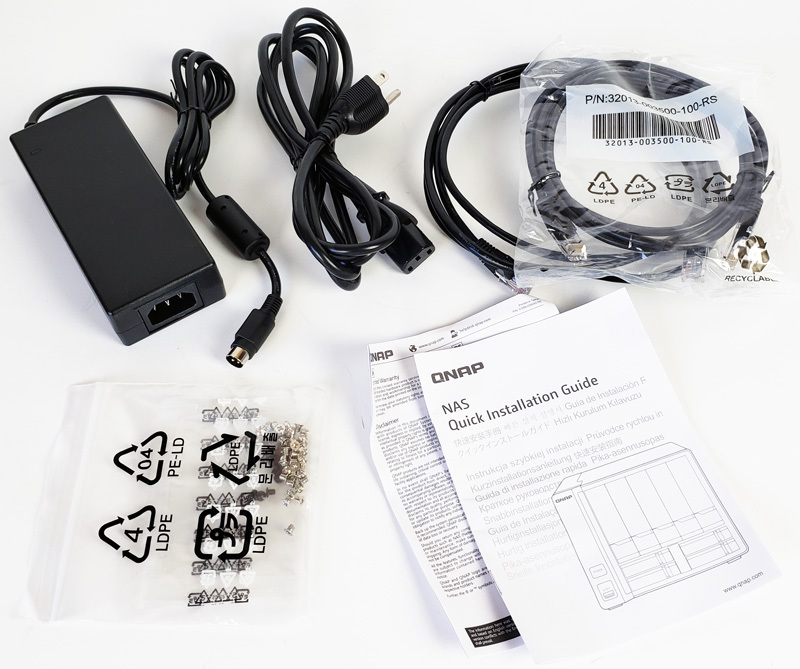 Here we see the accessories bundled with the TVS-951X. Let us move on to installing our hard drives. Installing 3.5” hard drives is tool free. Slip the HDD into the tray with SATA ports facing away from the front levers and snap in the plastic retaining bars. 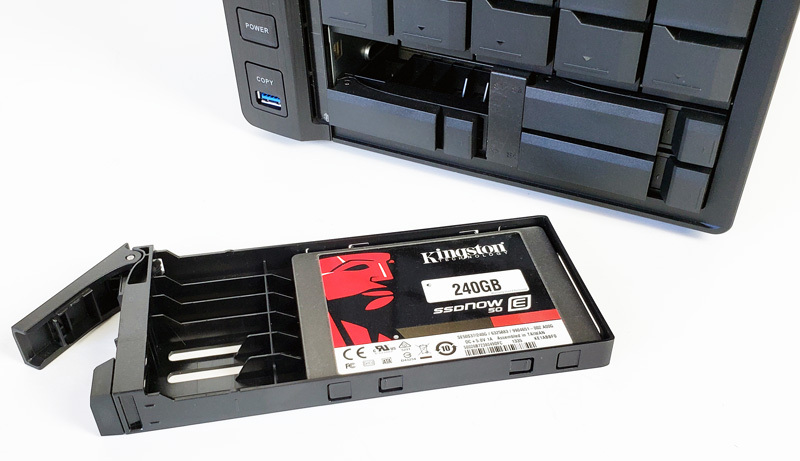 Installing SSD’s is also tool-free, drives slide in and snap down to lock in place. Next, we are going to look at setting up the QNAP TVS-951X before we move to our performance testing. Any information on drive temps? You state you were surprised the 120mm fan was able to cool the machine in testing but I didn’t see any drive temperature readings for the various workflows. In extended / heavier use cases I wonder if the cooling will be adequate. It’s $699 everywhere online. Maybe check out this new site called Google Shopping? It’s on sale fairly often for under $600.